Since 2007, I’m part of a public career called Public Policy Specialist. Created during the 80s in Brazil, this career is responsible for the creation, design, implementation and evaluation of public policies. Since 2007 I am engaged in a participatory process regarding implementation of policies in different sectors. Mainly focused on human rights and social policies, it is an important tool to help implementing such policies in the transversal dialogue between ministries, powers and actors through the levels such as municipalities, state and federal agencies. The motivation to follow such a path was the necessity to look for innovative and alternative processes to answer implementation demands for social policies. The traditional formula of implementing a public policy could not fulfil the complex and adaptive ways required for social policies in Brazil. My current tasks were assigned to me since I became part of the unit I am working with and they were planned to be so right from the beginning. When it comes to influencing the international agenda or shaping public policies in your country, what main challenges do you face in yourdaily life as a professional? Main challenges are defined by the absence of sufficient resources, a supportive structure, a team and technology for the daily basic activities. Since I began this career, I started to work with civil society participation in multi-levels of the policy process. 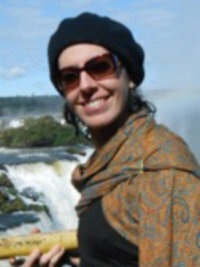 When I first started, I was part of the Executive Secretariat of the Economic and Social Development Council in Brazil. I then came across this topic again at the Human Rights Secretariat - at the National Commission for the Eradication of Slave Labour - CONTRAE, and at the Ministry of Justice promoting the National Conference for Migration and Refugees. The communication and discussions with and between the different actors I met through these opportunities evoque great memories. Maybe as a journalist or writer, so that I could continue to explore different universes and promote knowledge. I could be active by providing information, participating in chats, dialogues, exchanging ideas in areas I’m working with, contributing with debates and linking the community of alumni with Brazilian realities.